Indianapolis Public Schools, the largest school district in the state of Indiana, heeded that call. In a proactive move, they recently rolled out 100 new propane-fueled school buses equipped with 3-point lap-shoulder belts, and they plan to add more. “So many parents have been concerned about safety of kids on school buses. We’ve had some high profile accidents with buses. I know everyone is safety first priority for kids,” board president, Mary Ann Sullivan told local station FOX 59. 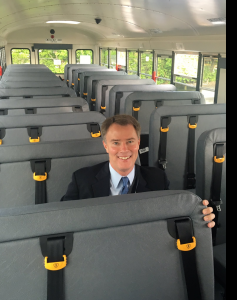 “I applaud this initiative because it’s truly a decision that puts the wellbeing of our students first,” said Indianapolis Mayor Joe Hogsett. 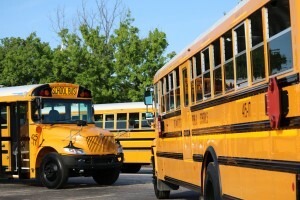 “More and more Indiana school districts are doing their research and finding that adding lap-shoulder belts to their school buses can better protect the children in their care and better protect the district financially by reducing injuries and behavioral issues,” said Tom Anthony, IMMI President, the company that designs and manufactures the seat belts. “We’re thrilled to partner with IPS as they take this step to make their buses as safe as they can be for their students.” IPS joins Westfield Washington Schools in Central Indiana which added lap-shoulder belts to their school buses used for travel and activities last year.